With the current political climate in turmoil and our future left in the reckless hands of socially inept politicians, Cash Savage and The Last Drinks today deliver up their brand-new politically charged clip to single ‘Found You’, lifted from their 2018 fourth studio LP Good Citizens. Rock and roll brats, Bleached will bring their sunshiney, West Coast vibes to Australia for the first time this September/October. Sisters Jennifer and Jessie Clavin, developed their craft within Mika Miko – a rough around the edges DIY punk group that guaranteed a wild live set and was greatly appreciated by regulars of The Smell. 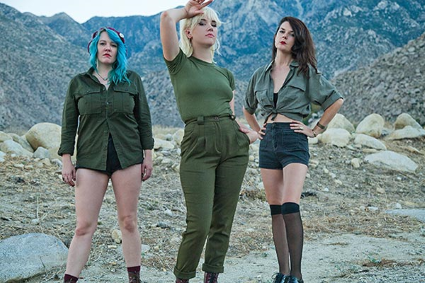 Retiring to focus on Bleached now with added bassist, Micayla Grace, Jennifer as lead vocalist and Jessica as lead guitarist they released Ride Your Heart in 2013. Brisbane’s The Optimen are proud to announce the impending release of their sophomore outing The Out Of Money Experience – out nationally on Saturday April 10 through Red Tape Entertainment/Inertia. It’s been a long wait for fans for The Optimen’s follow up to their 2005 Boomtown, the band taking time to work on their label Red Tape as well as other projects. 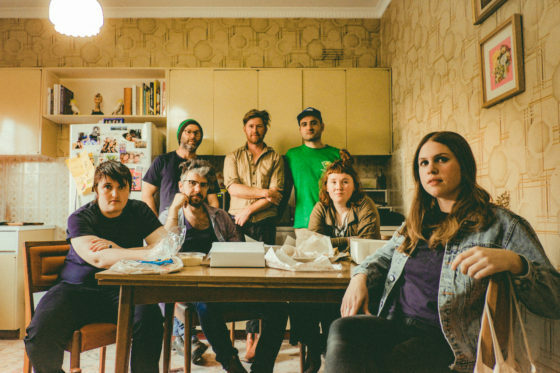 Receiving strong triple J play on the hip hop show in particular and community radio nationwide, first single Fire Fighters heralded their return late last year, and finally they’ve arrived with The Out Of Money Experience due in April. One of Liverpool’s most mysterious and talented exports, Echo & The Bunnymen will return to Australian shores in early 2010. Following the release of their tenth studio album THE FOUNTAIN, original members Ian McCulloch (aka Mac) and Will Sergeant will bring their enigmatic live show to the St Jerome’s Laneway Festival in Australia along with sideshows in both Sydney and Melbourne. The tour begins in Sydney with a show at the Enmore Theatre on Wednesday 27th January before heading to Brisbane for their headlining appearance at the St Jerome’s Laneway Festival on Friday 29th January. The band will then head south to Melbourne for their Laneway appearance on Saturday 30th January, followed by Sydney Laneway on Sunday 31st January. Heading back to Melbourne on Thursday 4th February, Echo & The Bunnymen will then take on the Palais Theatre before heading west for Adelaide’s Laneway on Friday 5th February. The tour then concludes in Perth at their final Laneway performance on Saturday 6th February. The Bunnymen formed when Ian McCulloch met guitarist Will Sergeant in the summer of 1978 in Liverpool when the pair began recording demos with a drum machine that the duo called “Echo.” Thirty years on with a career steeped in cult success as avant-garde icons of the 1980s, Echo & The Bunnymen have amassed bountiful treasures during their many travels. Last year, Echo & The Bunnymen took their ‘Ocean Rain’ show on the road – a tribute and retrospective of their celebrated 1984 release. The much lauded return to the stage saw sold out shows at London’s Royal Albert Hall, New York’s Radio City Music Hall and the Liverpool Echo Arena – all of which were also met with huge critical acclaim. Combining post-punk angst with the sort of lavish arrangements made famous by the Liverpool lads, a band rejuvenated, Echo & The Bunnymen also received enraptured recognition from critics and fans alike for their festival appearances at the Camden Crawl and Glastonbury. Becoming cult sensations in the early 1980s, with classic albums including ‘Crocodiles’ (1980), ‘Heaven Up Here’ (1981) and enduring masterpiece ‘Ocean Rain’ (1984), Echo & the Bunnymen forged a distinct sound amongst their post-punk contemporaries (Joy Division, The Cure) grounded in swirling synths, gloomy pop and inspired psychedelia. Echo & The Bunnymen have until now had a whopping nine studio albums under their belt, with 2009’s ‘The Fountain’ being their tenth! Ahead of their highly anticipated Australian tour in 2010, post-punk icons Echo & the Bunnymen present their brand new album, ‘The Fountain’ – this 5th December on My World Records through Inertia. A massive return to form for the U.K legends, ‘The Fountain’ is a superbly feisty album of pulsating, uplifting rock anthems. Get ready for the invocation of their big sound, goth-romantic poetry and strummed steel strings as they reclaim their legacy and reposition themselves on the rock continuum. This is one show not to be missed.